Het X-Y Actiefonds (formerly XminusY) makes grants to support social movements, action groups, and change makers who fight for a fair, democratic, sustainable, and tolerant world. Grants are to grassroots groups that aim to mobilize and inspire political action. Grants for grassroots actions. Het X-Y Actiefonds funds grassroots actions across a range of thematic areas, including ecology (environment). Het X-Y Actiefonds supports politically controversial projects that do not easily find financial aid elsewhere. Examples of supported activities include demonstrations, blockades, occupations, direct actions, revolts, revolutions, and other confrontational action. Grants are a maximum of €3 thousand. 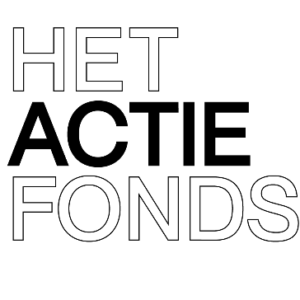 APPLICATION: Het X-Y Actiefonds invites applications at any time. Applicants describe their proposed project and planned activities, accompanied by a budget. Het X-Y Actiefonds will accept written communications in Arabic, Dutch, English, French, Russian, and Spanish. Het X-Y Actiefonds has been active for 45 years, and it currently supports about 130 projects per year. The project map is available in Dutch only.